Onward make the news – No fabrication! We’ve enjoyed some great media coverage recently. It started in September with a front page splash on the business section of the Express and Star where our work with Hasco Thermic Ltd was featured. This was also covered by industry bible The Manufacturer and Engineering Capacity the magazine for buyers of contract manufacturing services. 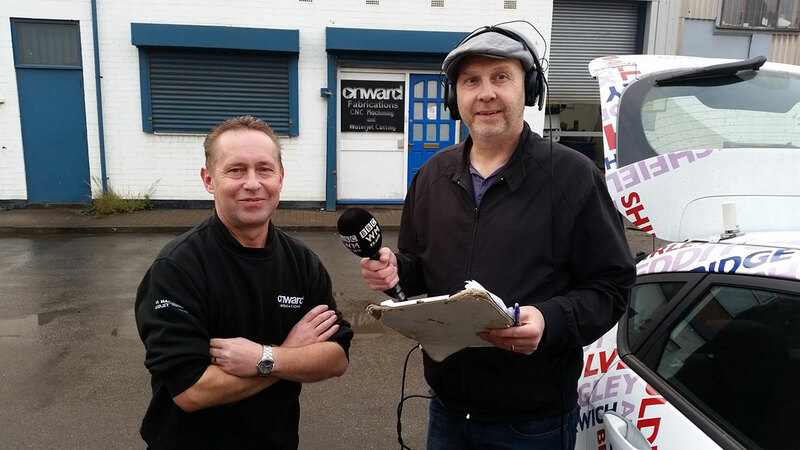 As we moved into October this content led to an approach by BBC 5live Breakfast to discuss PMI data, the Redcar situation and the steel industry in general. 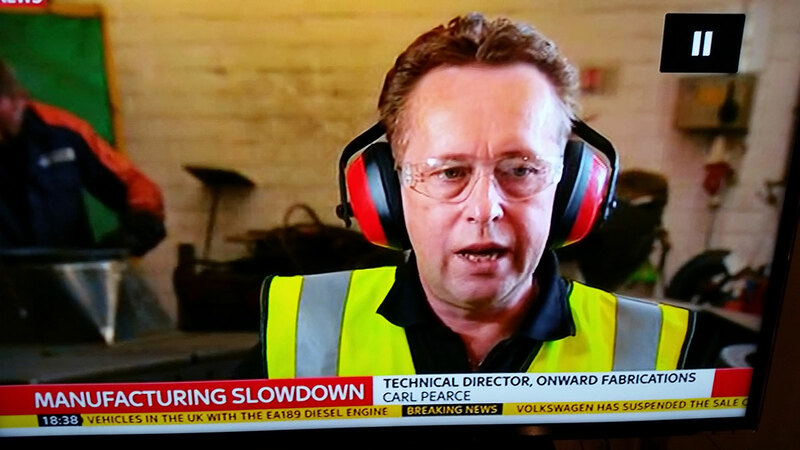 This swiftly led to a slot on Andy King Live on Sky News who came down to our plant in Willenhall to interview us. 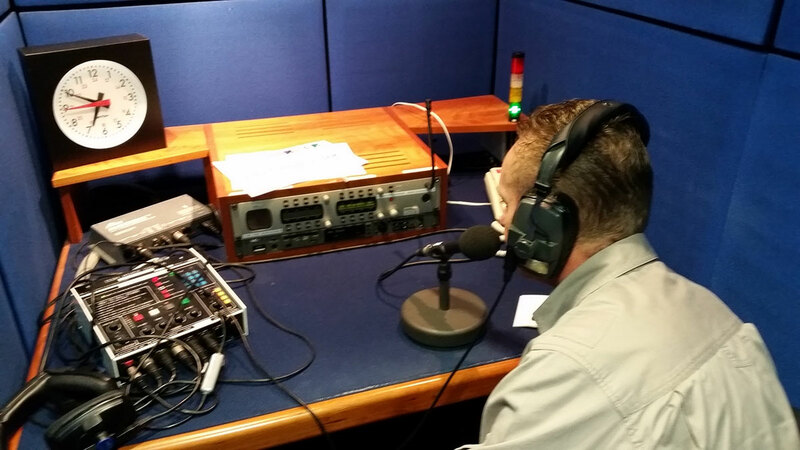 To complete a hat trick of broadcasts we were live on BBC Radio WM, once again to gather our perspective as a Midlands based manufacturer on Redcar and steel. They also interviewed our apprentice who spoke eloquently about his experiences with Onward and was a real advocate for apprenticeships. So there we have it, in the space of just a few weeks we have positioned ourselves as experts on industry issues and we look forward to continue representing Midlands manufacturers in the media. If you have a media enquiry, please contact Matt Eccles on 07970 928627.